Temps topped off in the upper 40s in most places; some spots even breaking the 50° mark on Saturday. You can thank that to winds out of the southwest and ample sunshine throughout the day. Temps won't be as warm as we head into the latter portions of the weekend due to a dry cold front passing through the Stateline Sunday morning. That will usher in winds from the north and with it, slightly cooler air. Temps on Sunday will peak near 40°. 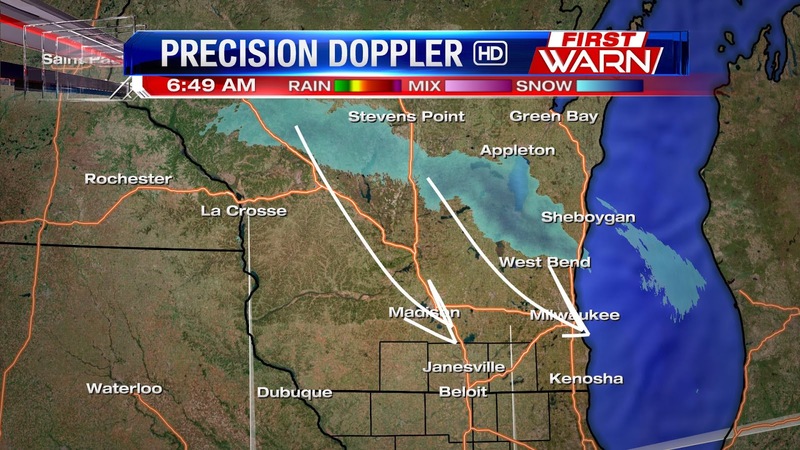 Milder Air Returning to the Stateline! For the last week, we've seen well below average temps all around the Stateline. 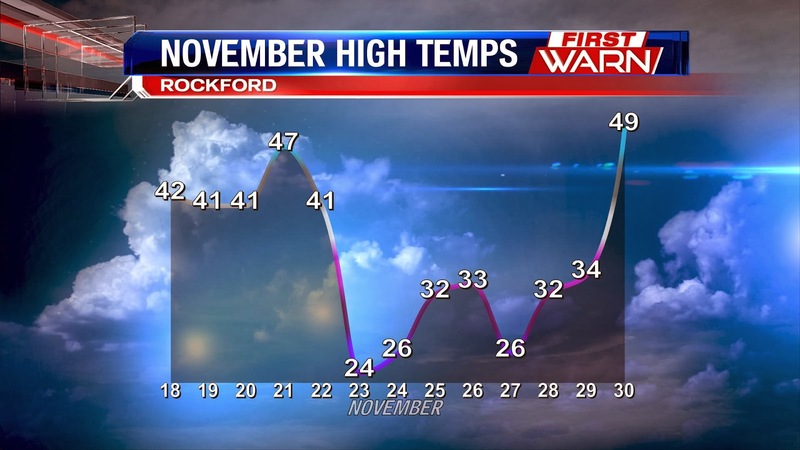 Officially in Rockford, the average high for late November should be near 40°. 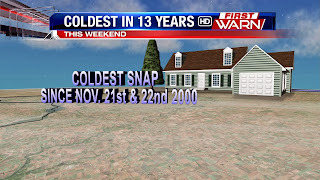 We've consistently fallen short of this, including the coldest Thanksgiving in six years. But winds are starting to turn from the south allowing for a continual warm up through the weekend. Temps return to near average on Saturday and Sunday. It's hard to believe the end of November is almost here! Temperatures for the end of the month will be right around average, upper 30's/low 40's, but looking ahead to next week big changes are in store for the forecast. Monday and Tuesday a warm front will remain draped across the Midwest with Northern Illinois and Southern Wisconsin remaining on the north side of the front. This means temperatures will be border-line warm enough aloft to support rain, but at the surface temperatures it will be cold enough to keep a rain/snow mix, or even all snow, during the first of the week. By Wednesday, the warm front will lift north into Wisconsin and draw a little more warmth and moisture into the Stateline. As a series of upper level disturbances follow the jet stream from Texas to Minnesota, scattered rain showers will be likely through Thursday. 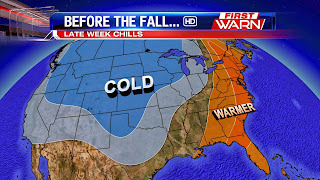 By Thursday night, a strong cold front will move through dropping temperatures for the upcoming weekend. What's impressive with this front is the amount of cold air that will be funneling in behind it, especially across the Plains. 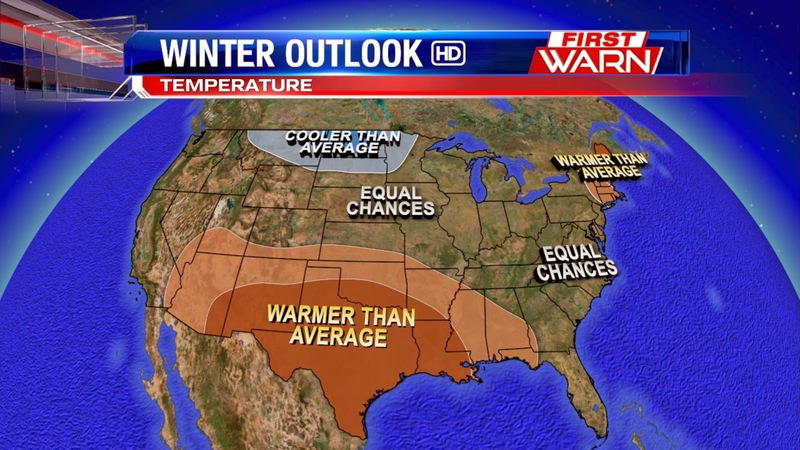 Temperatures by next week could be nearly 20 to 30 below average! However, some of that air will lose it's chill by the time it reaches the Rockford area. 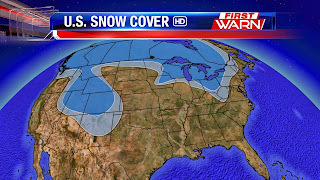 One of the reasons for that is snow cover. Even though the snow will fall in the Plains, and we could see a little here next week, our current snow pack, or depth, isn't that great. 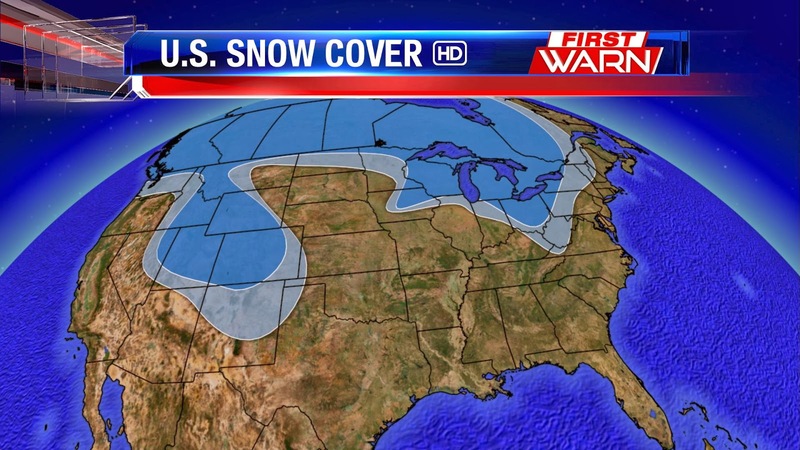 The deeper the snow pack Arctic air has to travel across the longer the chill stays in the air mass. So while it looks like another blast from the Arctic will arrive just in time for the first weekend of December, temperatures likely won't drop to as cold as they could be. How long does it take to burn off your entire Thanksgiving meal? 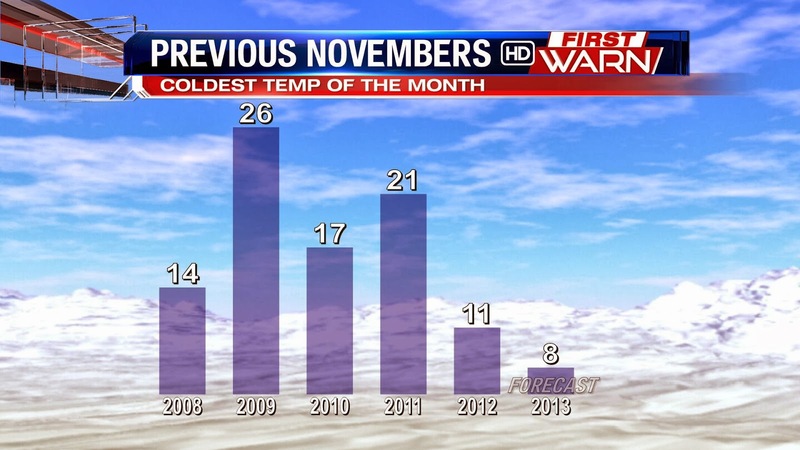 If you feel like this November has been significantly cooler than average, you'd be correct. 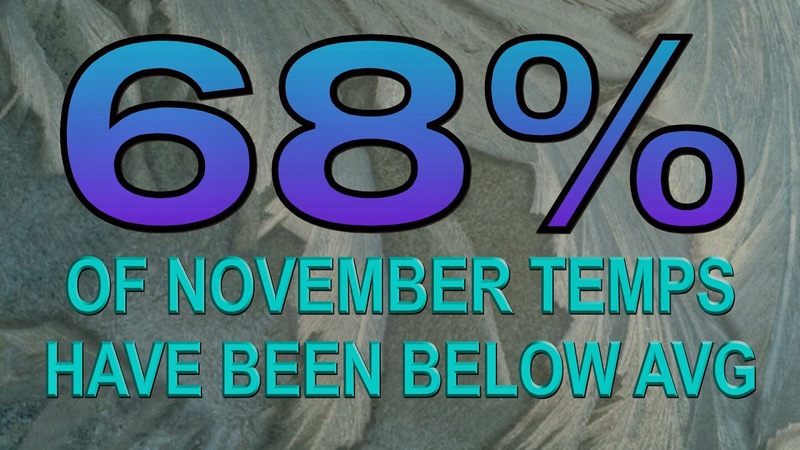 68% of this month have had below average temps and that trend will continue through the first part of the weekend. But by Sunday into next week, we usher in air out of the south allowing temps to finally return to near average in the low 40s. 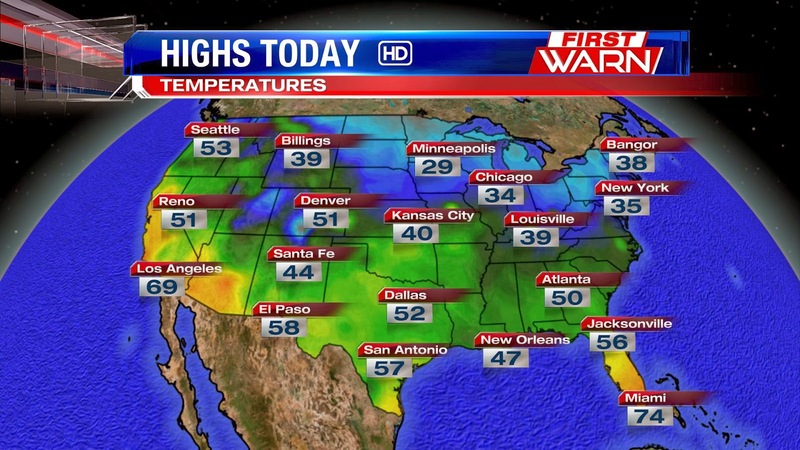 Check out Thanksgiving high temps around the country. 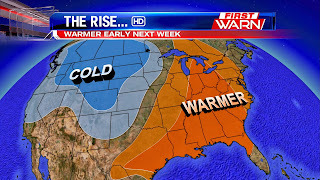 The Central Plains actually got into the 40s, and that's where our air will be coming from as we head into next week. Low pressure tracking through Iowa and southern Wisconsin will pull a cold front through later this afternoon. Light snow showers have been falling across western and central Wisconsin and will continue to track southeast near Milwaukee later this morning. A few of those may dip far enough south of affect southern Wisconsin, but most will remain quiet today. 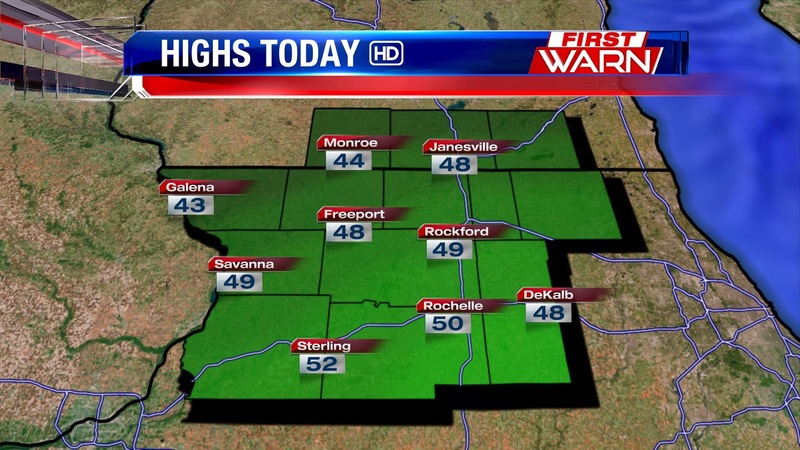 Temperatures will remain below average with highs only in the low 30's this afternoon. While skies will clear a bit this morning, additional cloud cover will be possible later today and tonight. 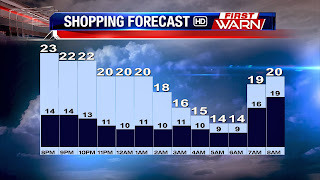 Temperatures will fall into the low 20's around 8pm and bottom out in the low teens by 6am Friday with wind chills falling on either side of 10° by sunrise Friday. Bundle up if you plan on catching all the deals later today and tonight. Enjoy, be safe and Happy Thanksgiving! SPRINGFIELD, IL – Wildlife biologists will examine the remains of a cougar found on a farm near Morrison in rural Whiteside County in an effort to learn more about the animal’s recent history and origin, the Illinois Department of Natural Resources (IDNR) announced today. An IDNR Conservation Police Officer (CPO) on Nov. 20 responded to a call from a Whiteside County farm owner that a large cat had been seen exiting a corn field, running toward the farm owner’s home and outbuildings. When the CPO arrived at the farm, he made contact with the farm owner’s wife, who was in the house, and checked a horse barn and lot where the landowner’s horses were located. The cougar was discovered in a concrete tunnel beneath a corn crib. 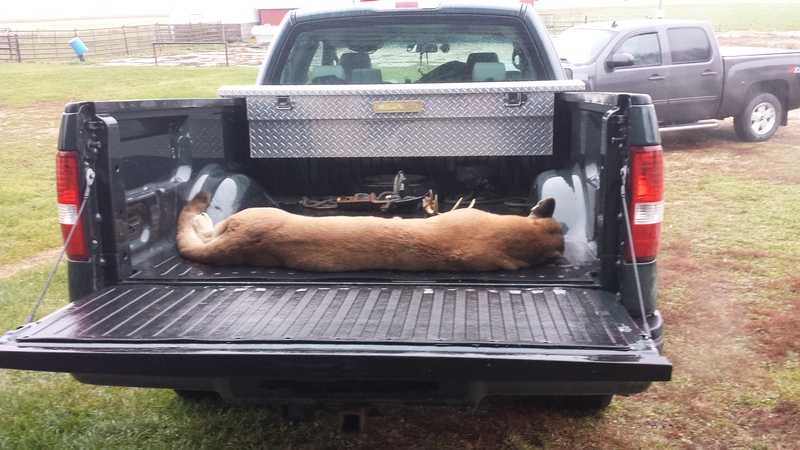 After consulting with the farm owner’s wife and IDNR law enforcement and wildlife personnel, and at the farm owner’s request, it was determined that the cougar should be euthanized. The CPO dispatched the animal with his IDNR-issued rifle. The cougar appeared to weigh more than 100 pounds and was 5-and-half to 6-feet in length. Wildlife biologists will take possession of the animal and conduct a necropsy. Cougars, also known as mountain lions, were extirpated from Illinois before 1870 and are not protected by the Illinois Wildlife Code. There is no evidence that a resident breeding population exists in Illinois, but occasional transient cougars have been found in the state in recent years, likely dispersing from states to the west of Illinois, including South Dakota. There were three confirmed cougars in Illinois between 2002 and 2008. A male was killed by a train in Randolph County in 2002. Another male was killed by a hunter in Mercer County in 2004. A third male was shot and killed on the north side of Chicago in 2008. Although analysis indicates these three animals were genetically similar to mountain lions from South Dakota, their history in the wild is uncertain. More recently, images taken by trail cameras in Jo Daviess County (September 2012) and in Morgan, Pike and Calhoun counties (October and November 2012) were confirmed by IDNR as showing a live cougar. 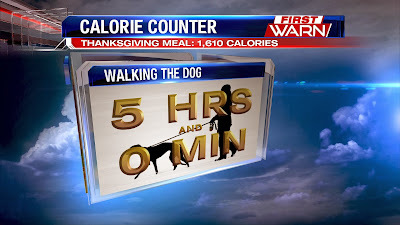 Given the long distances typically traveled by cougars, and the proximity of the counties (especially Calhoun, Morgan and Pike), it is possible that the camera images may show the same animal. 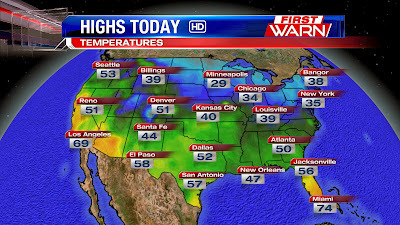 High pressure will settle across Illinois and Wisconsin Wednesday afternoon as a clipper system moves into the Upper Midwest. Clouds will be on the increase later this afternoon and evening as the low zips through Wisconsin. The atmosphere will remain fairly dry tonight, but there may be a few flurries or even a couple lighter snow showers - especially to the north in Wisconsin - that are able to reach the ground by Thursday morning. Once that system passes, another high pressure will move in Thursday afternoon clearing skies and keeping temperatures below average through Friday. Bitter cold Wednesday morning chills! It's the coldest morning we've felt so far this season as the mercury has fallen into the single digits across Northern Illinois and Southern Wisconsin. 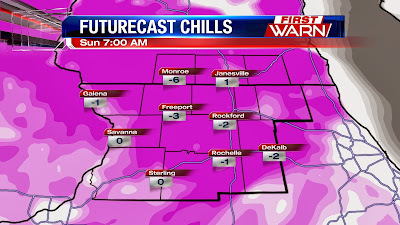 Factor in a little breeze from the northwest and wind chills have fallen below zero all across the Stateline. The fact that we have a little snow cover on the ground has had an impact on the temperatures this morning. Can't stress enough this morning, make sure you bundle up - scarf, hat, gloves, boots, etc if you're headed out. The wind will lighten up a little through the afternoon which will take the edge off the wind chills, but temperatures will remain in the middle 20's. If you're not traveling far for Thanksgiving, you shouldn't have any major travel issues on Wednesday, but there are a few areas we're keeping an eye on. 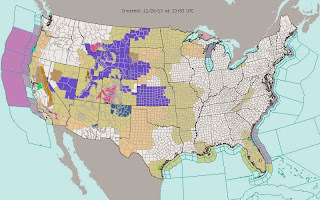 Generally speaking, expect plenty of weather delays along the East Coast. A monster storm system will continue to drop rain, snow, and everything in between through midweek. 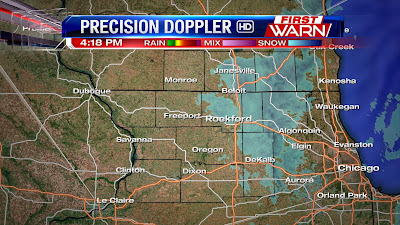 4:15pm Update: Some flurries and light snow showers are popping up on Precision Doppler east of the Rockford metro. These snow showers are combining with breezy winds to cause some lowered visibilities, which could impact your evening commute. Take it easy on the roads this evening! It was a snowy start to our shortened work week, so exactly how much snow did we see across the Stateline? Here are Monday's snow reports from the National Weather Service. Today, Tuesday and Wednesday will not be ideal travel days for the South, Southeast and East Coast. A large low pressure system that was responsible for bringing freezing rain, sleet and snow to the southern Plains over the weekend will continue to move east today and tomorrow. By Wednesday, heavy snow is expected across parts of the east and New England with rain near the coastal areas. Everywhere else looks fine for holiday travel Wednesday. By Thursday, the large storm system in the east will have moved into the North Atlantic with a new system moving into the southwest. High pressure will be the dominate feature across much of the country with highs staying cool in the south. A weak upper level low moving into the Midwest could bring a few lighter snow showers to Minnesota and Wisconsin with lake-effect snow setting up east of the Great Lakes. 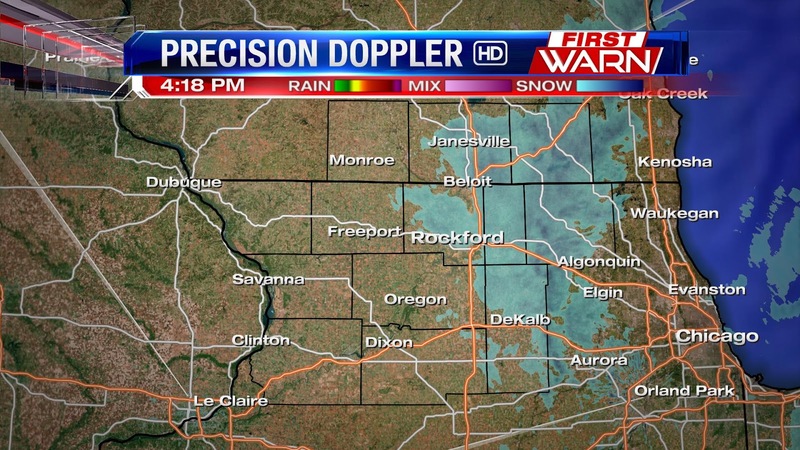 (12:26:46 PM) nwsbot: Local Storm Report by NWS MKX: Edgerton [Rock Co, WI] trained spotter reports SNOW of M2.0 INCH at 11:00 AM CST -- social media report. snow total. 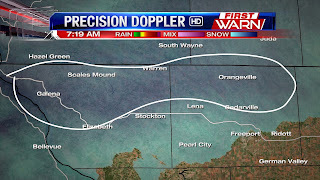 (11:42:44 AM) nwsbot: Local Storm Report by NWS DVN: Lena [Stephenson Co, IL] trained spotter reports SNOW of M2.1 INCH at 11:40 AM CST -- snowfall total. 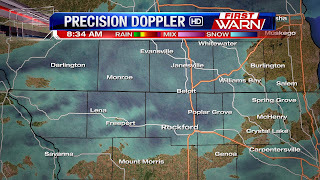 (10:40:17 AM) nwsbot: Local Storm Report by NWS DVN: Galena [Jo Daviess Co, IL] co-op observer reports SNOW of M2.4 INCH at 10:30 AM CST -- event total. snowfall total of 0.4 inches prior to 7 am. an additional 2 inches from 7 to 1030 am. 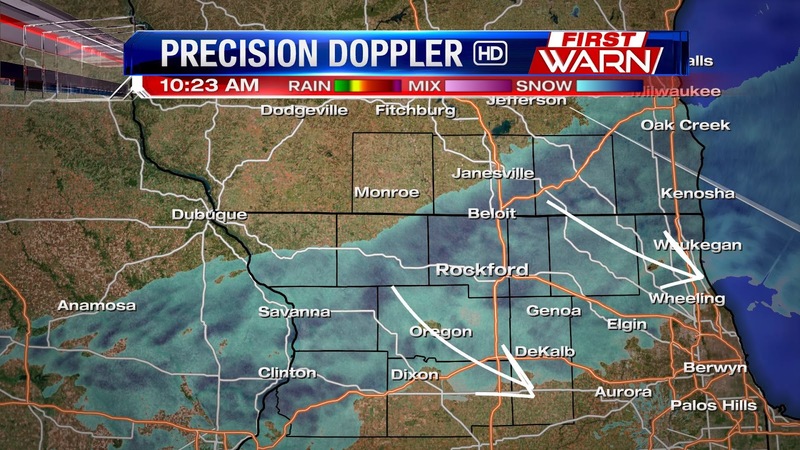 10:25am Update: Moderate snow continues to fall across the Stateline, but is slowly clearing from northwest to southeast. 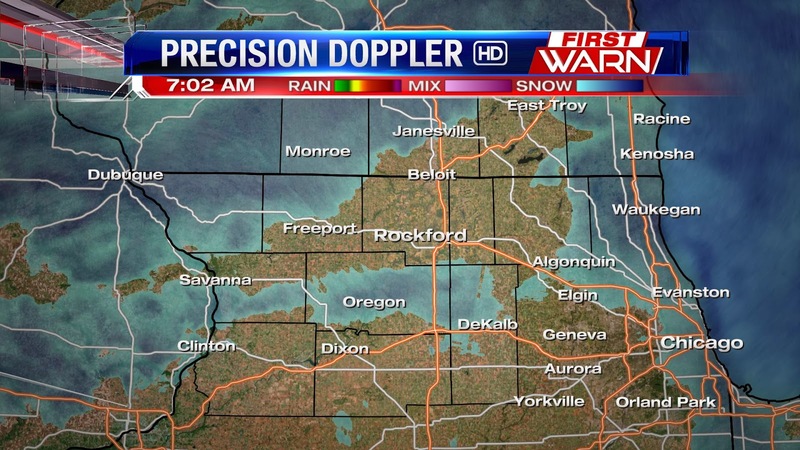 The snow will fall through 1pm with areas east of I-39 seeing the snow continue into the afternoon. Strong southwest winds may help keep the roads slick through the evening commute. 8:35am Update: The heaviest of the snow will remain on either side of the Wisconsin/Illinois border through late morning before winding down by the afternoon. 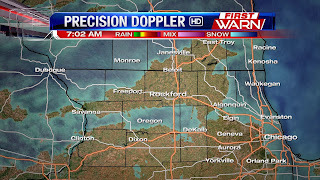 Areas along and north of Highway 20 will see the heavier amounts through the morning. 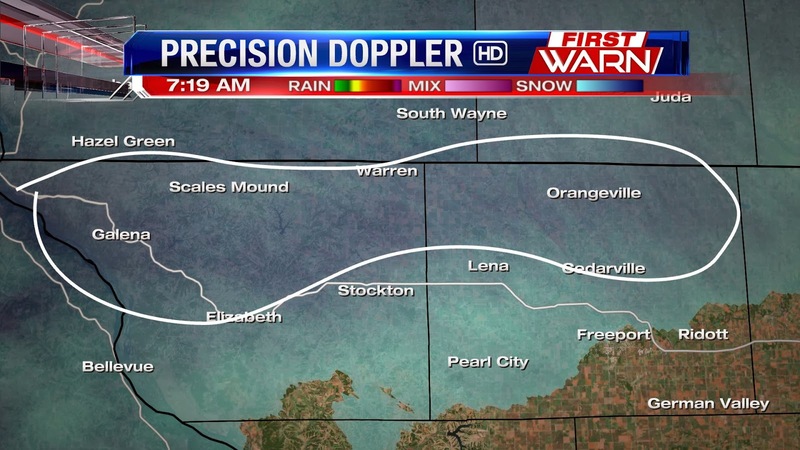 7:20am Update: A band of moderate snow continues to fall just north of Highway 20 and will sink southeast through mid to late morning. 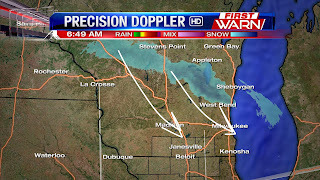 The heavier snow bands will drop visibility to less than a mile through the morning before diminishing by the afternoon. 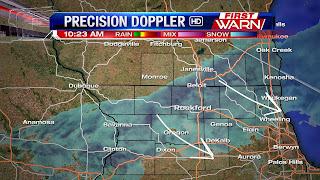 A few bursts of heavier snow fell earlier this morning and while we've got a little break, additional snow will move in from the west through 10am. 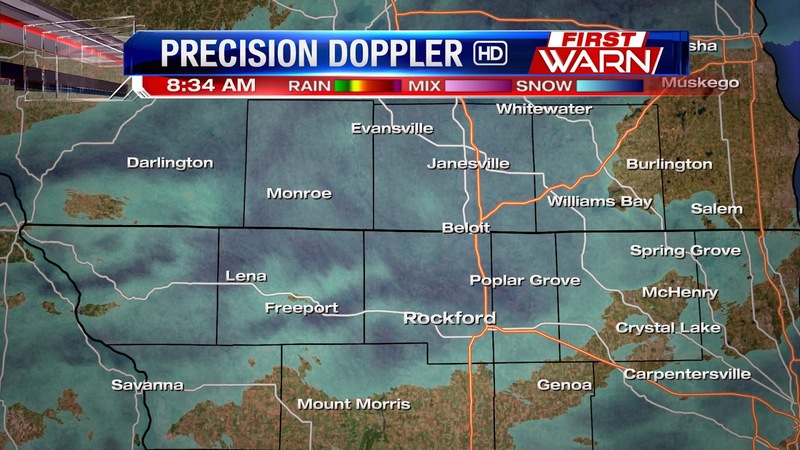 With the snow that has fallen, Rockford and Capron are both reporting 0.10" of accumulation. Total accumulation will range from 0.50" to 1.0" - with amounts closer to 1.0" (or higher) closer to the state line. 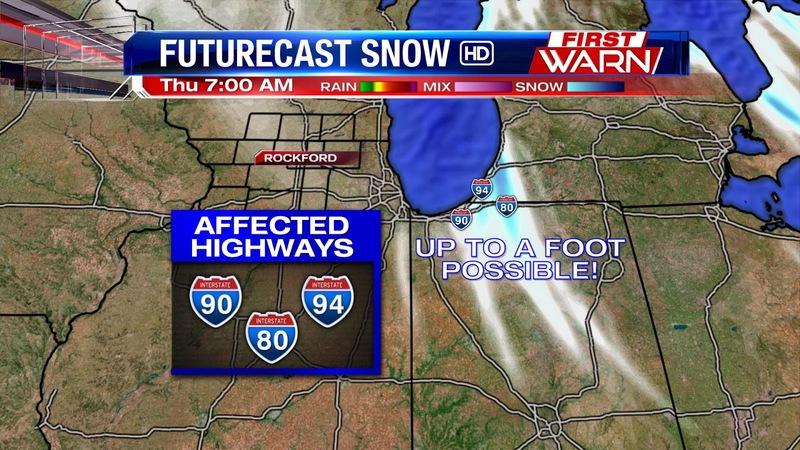 Lesser amounts will be found further south of Rockford. The heavier bursts of snow caused roadways to quickly become snow covered and slick this morning. Be careful and allow extra time for travel. While the snow will end by the afternoon, temperatures will remain below freezing and winds still gusty blowing around what little snow is leftover. Sunday morning's bitterly cold temperatures were a rare occurrence. 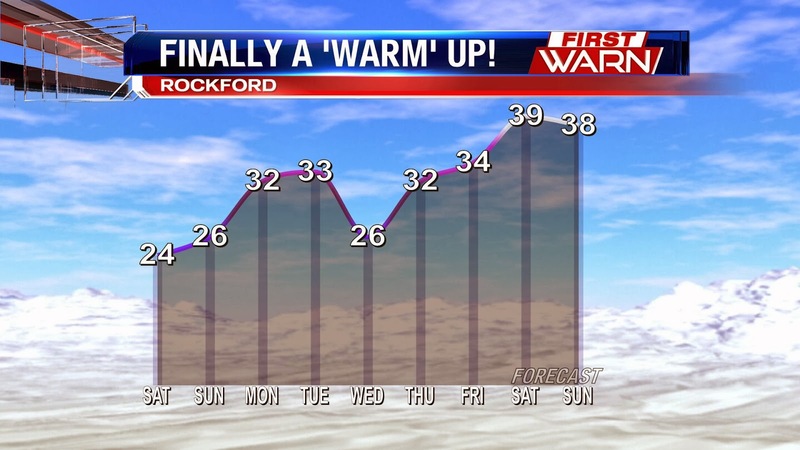 Officially at Rockford International Airport, we plummeted to 9°F with a wind chill of -1°F. 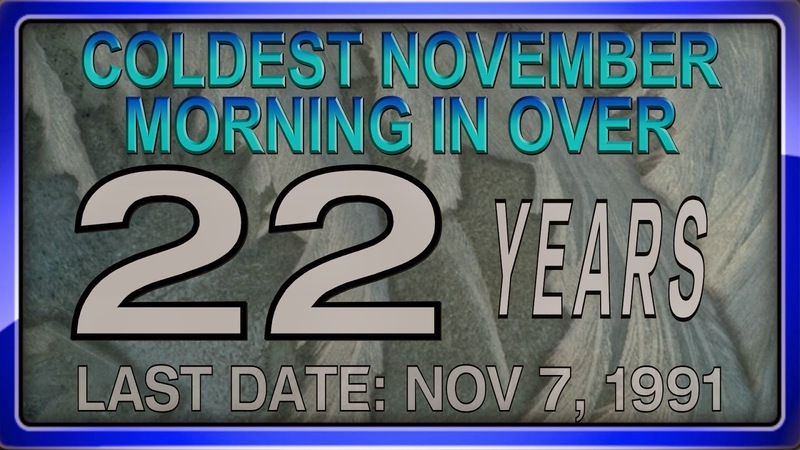 The last time we saw temps that cold in the month of November over 22 years ago! Since we're well below freezing, any precipitation we get will be, without question, snow. 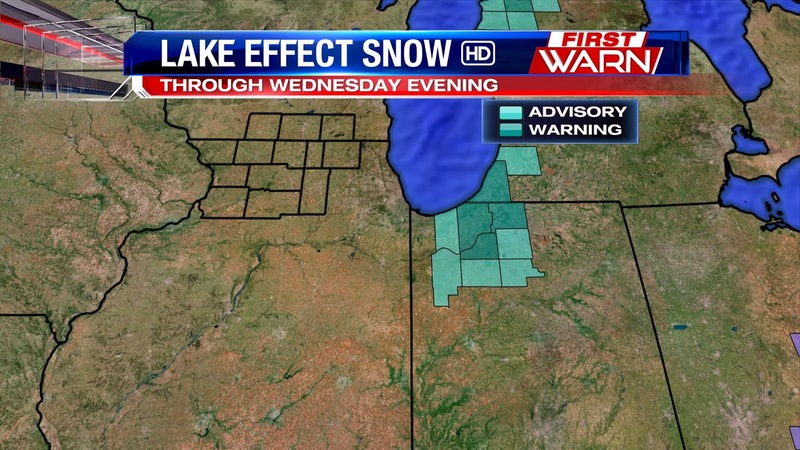 And with another cold front invading the Stateline on Monday, we can expect more snow. Most of the computer models agree that the snow will start up around the morning commute and continue until the mid-afternoon. Give yourself a little extra time to drive to work. 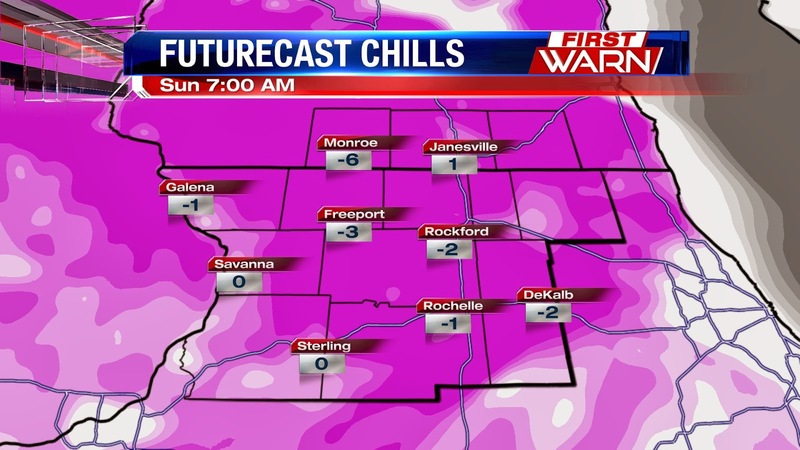 The coldest air of the season is invading the Stateline Saturday night into Sunday morning with temps expecting to bottom out in the single digits. 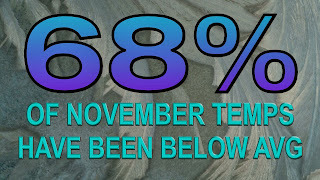 This will be the coldest air we've experienced since March 3, or in 266 days. But that's just half the battle, factor in a persistent breeze out of the WNW at 10-20mph, and we'll experience below zero wind chills! Here's what Sunday morning will feel-like when heading out to church according to our in-house RPM model. High school football will be in full swing this weekend, with six Stateline teams competing for a chance to go to the state championship. If you're heading out to any of these games, be prepared for some unusually cold conditions. 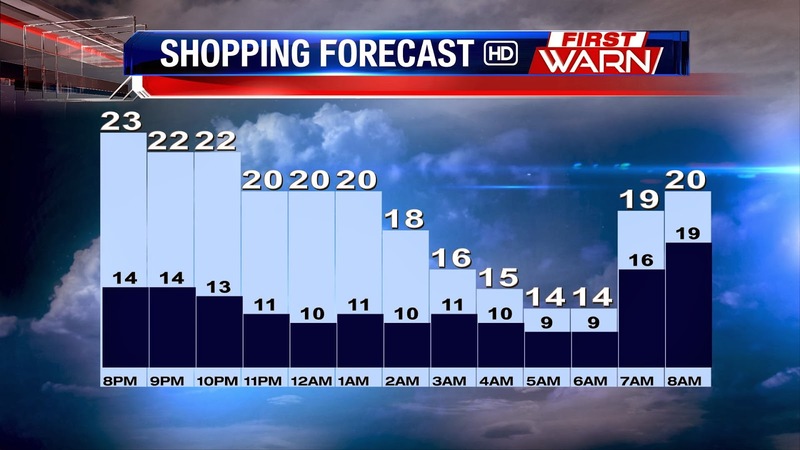 While skies on Saturday should stay mostly clear, game time temps will only warm into the upper teens and low 20s. Combine that with gusty winds of 25-30mph through the evening and wind chills during these games will be in the single digits. To put it simply, BUNDLE UP! 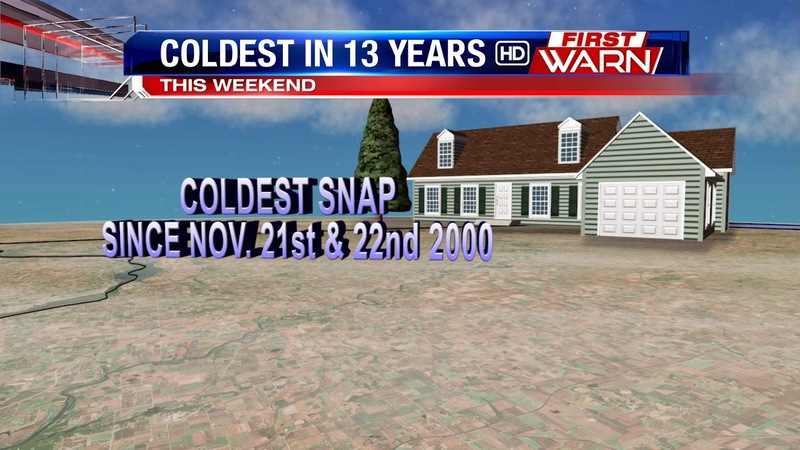 The big headline with this weekend's forecast will be the cold. 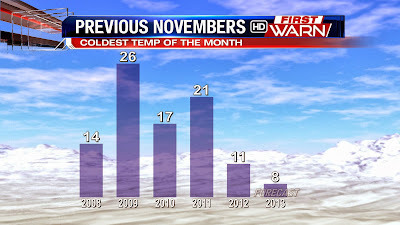 In fact, we haven't seen this kind of November cold snap in over a decade! Weekend highs will only be in the 20s, but things will be especially bad on Saturday, as wind gusts up to 30mph will keep wind chills in the single digits all day. While Sunday will be less windy, it will not be much warmer. 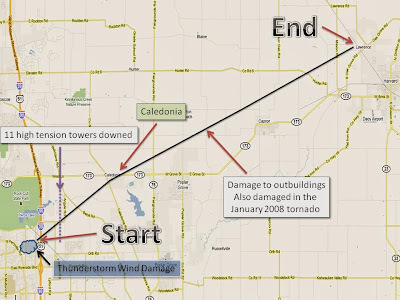 Less than a week after tornadoes struck central Illinois, Friday marks the three year anniversary of another November tornado that struck Caledonia. The EF-2 tornado began around 3:00pm on November 22nd, 2010, just south of Rock Cut State Park in east-central Winnebago County. The tornado knocked down eleven electrical high tension towers and blew over a school bus near the intersection of Argyle and Harlem Roads (injuring six) before moving into Caledonia. 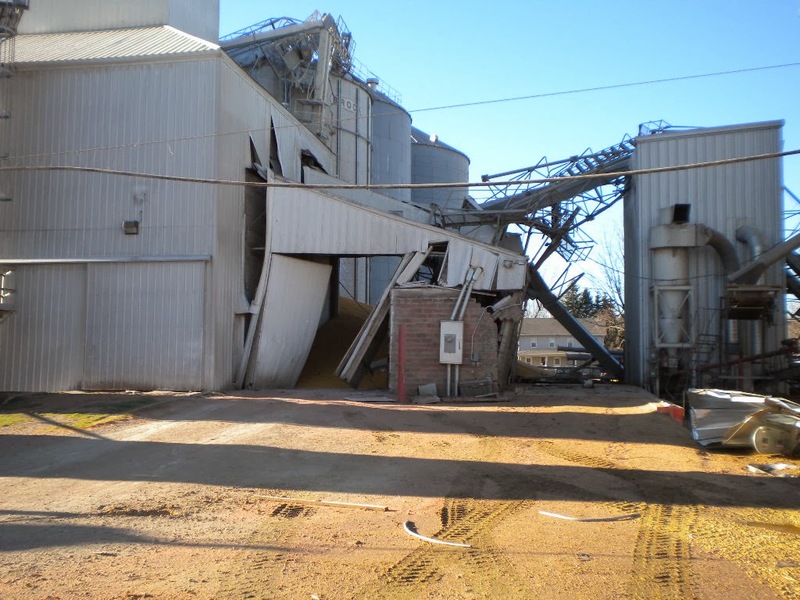 Fortunately, there were no deaths and only minor injuries. The tornado was on the ground for more than sixteen miles and packed winds of 135mph. 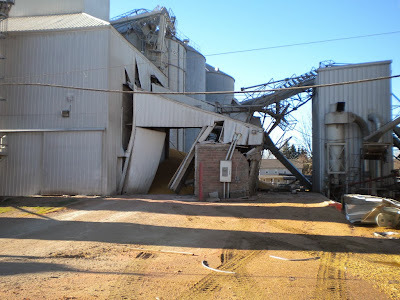 While that is nothing compared to the tornado that hit Washington, Illinois last Sunday (190mph winds), it still caused some serious damage, as evidenced by photos taken by the National Weather Service as part of their storm survey. 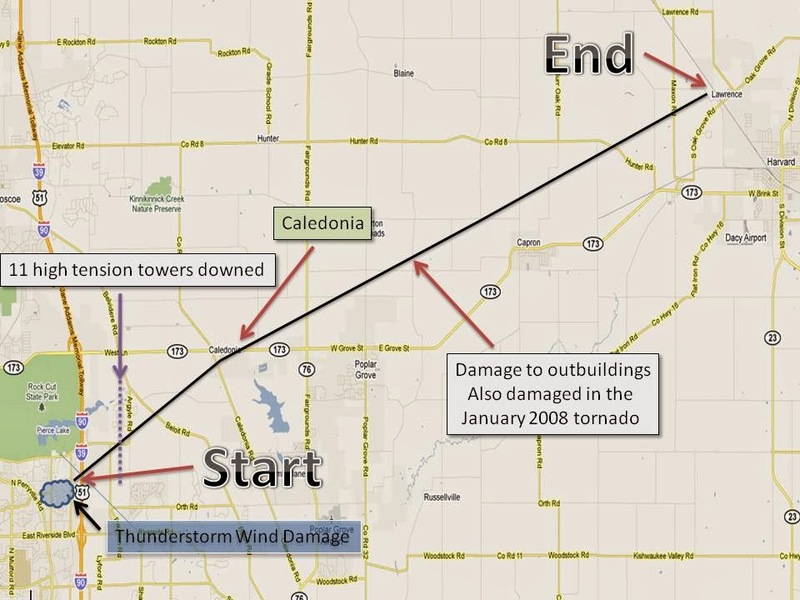 The Caledonia tornado is proof that severe weather can happen at any time. Let's just hope that we won't have a repeat of this anytime soon. Get ready for the Arctic blast! Temperatures will take a big tumble behind a strong Arctic cold front that will move through Saturday morning. High temperatures this weekend will only reach the middle 20's with wind chills remaining in the single digits. If the current forecast holds true, we could be on track to have the coldest two day stretch for so early in the season since November 21st and 22nd, 2000! 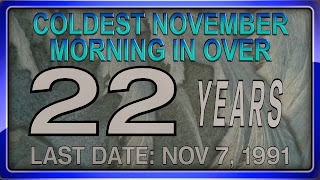 Highs November 21st, 2000 were around 30° with the mercury only climbing to 26° on the 22nd. 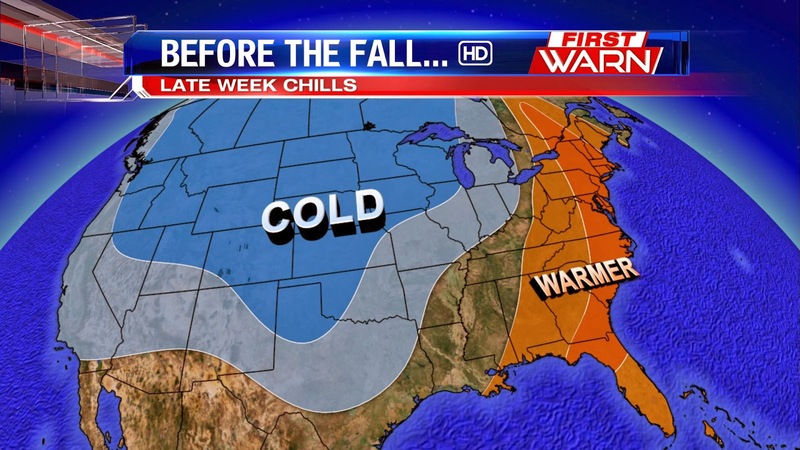 Adding insult to injury, this cold snap will have some incredibly cold wind chills for November. With wind chills forecast to stay in the single digits during the day Saturday and near zero Saturday night, it would mean the forecasted wind chills would be the coldest prior to December since November 26th, 2010! Bottom line, it's been a while since we've felt this type of cold this early in the season. Old Man Winter is rearing his ugly head over the next couple days. Here's a breakdown of the forecast for Friday and the weekend. A few scattered showers will move into the Stateline Thursday evening, and as temps fall, we'll be calling for a rain/snow mix after midnight. A few spots to our west could even see some patchy freezing rain depending on how fast temperatures drop. By Friday morning, temps should be cold enough for some light snow. We won't be talking a lot of snow with this next system. A dusting will be possible Friday morning, especially for areas northwest of Rockford. Skies are expected to clear heading into the afternoon. Thursday morning I had the opportunity to participate on a conference call with NOAA regarding its release of the winter outlook. 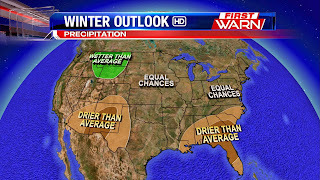 Mike Halpert, Acting Director of NOAA's Climate Prediction Center, stated winter will likely offer very little relief in the drought across the southwest where drought conditions will either persist or begin to redevelop. Drought has been ongoing across parts of the southwest and central/east Texas for nearly 3 years and while conditions have slightly improved over the past few months, drought is likely to redevelop during the winter. Drought conditions are also likely to develop across parts of the southeast because below average precipitation is favored in these areas. Above average precipitation will be found across the northern Rockies and Hawaii while equal chances, meaning we could either see above, below or near normal precipitation, is expected for much of the middle of the country. Cooler than normal temperatures are expected across the northern Plains and Hawaii while above average temperatures are expected for the Southwest, South-Central, Southeast, Northeast and western Alaska. Equal chances are also found across the middle of the country and the southeast. 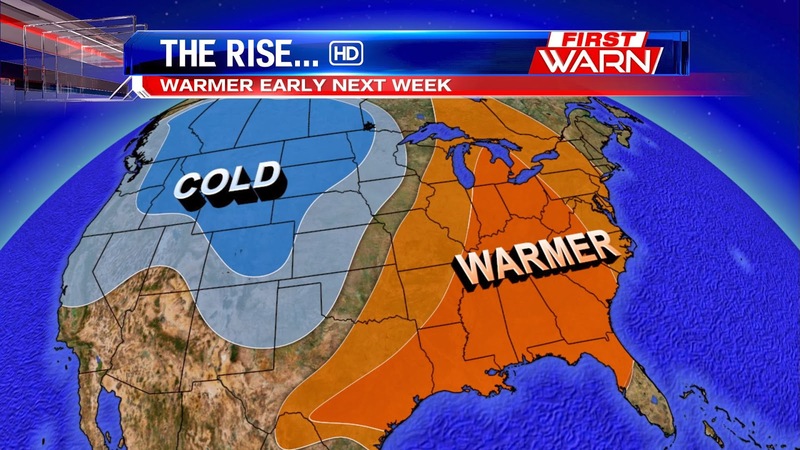 This means southern Wisconsin and northern Illinois will have each 1/3 of a chance of either being cold, warm or average. I know, not very promising for this winter. Since spring 2012, sea surface temperatures in the equatorial Pacific have been near average indicating ENSO neutral conditions. 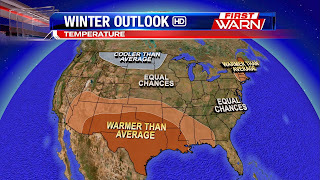 Climate forecasters expect these conditions to continue through the winter. This means that neither La Nina or El Nino conditions are expected to influence the climate through the 2013/2014 winter season. Temperatures nearly twenty degrees below zero have been found across southern Canada spilling into the northern Plains this morning. A very strong Arctic high pressure system will move across the Plains today and Friday and into the Midwest by Saturday. As low level moisture interacts with a trough of low pressure, we'll continue to see fog and haze develop across Iowa, Illinois and Wisconsin. Arctic air moving in behind a cold front will keep the snow flying across the Plains and upper Midwest this afternoon and will cause a mixture of rain and snow here later tonight and early Friday morning. 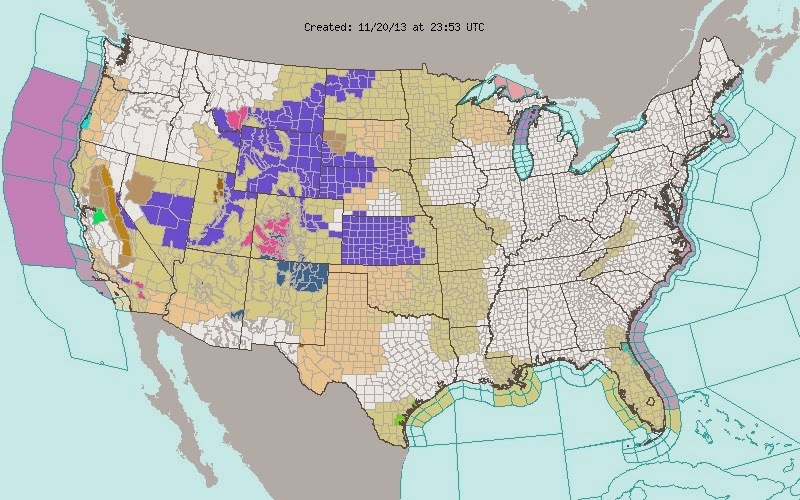 As the cold air spills into the central Plains, Winter Weather Advisories have been issued for parts of the Dakota's, Kansas and the panhandles of Oklahoma and Texas. Rain, freezing rain, sleet and snow are all expected today and tonight. Much of our attention this week has been on last Sunday's tornadoes, but it's important to remember winter weather is just around the corner. That's why this week is Winter Weather Preparedness Week in Illinois. The rest of this week, we'll be posting tips on how to protect yourself against potential hazards like blizzards and ice storms. Having emergency kits for your home and car can go a long way if you find yourself in a bad situation. Here are some basics to get your kit started. HOME - Non-perishable food and drinking water, weather radio, flashlights, batteries, extra medications, first aid kit. Don't forget warm clothing and extra blankets! 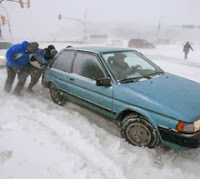 CAR - Extra clothing and blankets, jumper cables, sand or kitty litter and other tools to get your car out if it gets stuck in snow. For more information on how to prepare for winter weather, go to www.ready.illinois.gov. 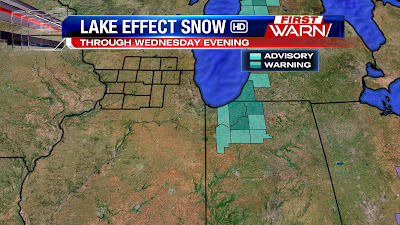 Winter Weather Advisory - Winter weather is causing significant problems in the area, especially for drivers. Take some extra time if you're traveling to get where you need to go! Winter Storm Watch - Severe winter weather will be possible in the next couple of days. This is the time to make sure you're prepared! Winter Storm Warning - Severe winter weather is imminent and should affect you in the next 12-24 hours. It is recommended to stay inside and avoid traveling. A worst case scenario for the Stateline would be a blizzard. Blizzards are less about snow and more about wind speeds. A Blizzard Warning is when sustained winds of 35mph or greater cause near zero visibility for three hours or more. Travel is typically impossible in these conditions. Monday Snow and Temperature Drop. Brrr! Get ready for the plunge! A Friendly Reminder: Turn Back Your Clocks!